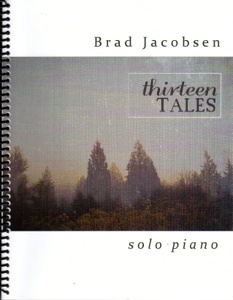 The Thirteen Tales songbook is the companion sheet music collection to Brad Jacobsen’s 2013 CD by the same name. 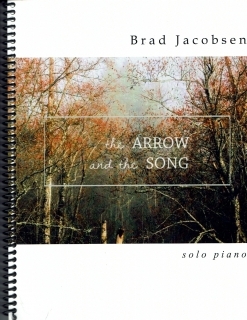 Being asked to proof and edit the sheet music as John Zechiel transcribed it gave me a sneak preview and I have been just as enchanted with the printed scores as I was with the recording (which was a Favorite Album for 2013). To quote my CD review: “Inspired by stories by The Brothers Grimm, Hans Christian Andersen and folklore, the pieces are lyrical songs without words. .... Most of the pieces are very graceful, warm and positive, avoiding the frightening quality of many of the original tales - especially those by The Brothers Grimm. There are heroic themes, but beauty and kindness seem to be in larger supply than swashbuckling sword fights and ugly witches.” I thoroughly enjoyed playing through the book again (this time for review) and know I’ll return to it often to play for pure enjoyment. None of the pieces are very advanced, but pianists at an intermediate level might find a few challenges that practice should easily overcome. The notation is clear, roomy and easy to read. I didn’t find any reaches of more than an octave and most of the songs are in easier key signatures (see below). 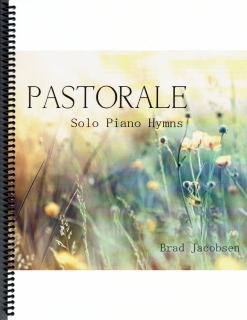 The book is spiral-bound and printed on a bright white paper that is a bit more substantial than many songbooks. Dynamics are clearly marked, and metronome settings and pedaling are included. 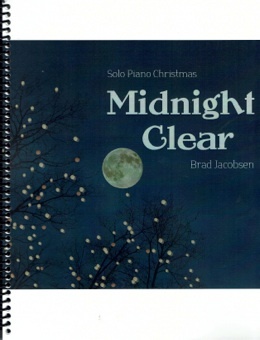 My own favorites include “Winter’s Tale,” “What the Moon Saw,” and “Jack’s Song.” This is a wonderful sheet music collection that is available in printed form or for download as a book or individual pieces from www.bradjacobsenmusic.com. I give it my highest recommendation!